Bring home the second picture book in Will and Jamie's bestselling The Happiness Animals series on November 25. Dillie, a dolphin with a bottle-nosed ego thinks himself pretty kind until a chance encounter with a seahorse. But will anyone be kind to him when a pebble gets stuck in his blowhole? This heart warming tale is filled with eye-catching illustrations that the whole family will love. 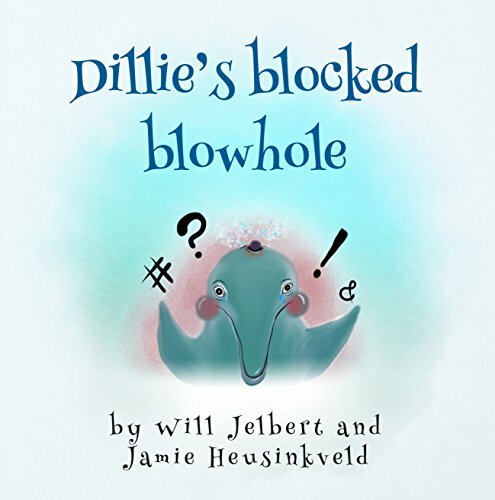 Dilie's blocked blowhole has at truthful message of kindness and of happiness that will stay with readers for a lifetime. This is the highly anticipated second book in a series of five twisted tales of animals as they pursue happiness, featuring a guest appearance by Puptrick from Puptrick tells a lie and learns to bark - the bestselling picture book that started Will and Jamie's The Happiness Animals series.